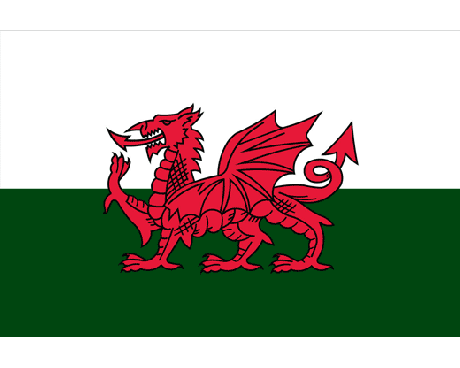 The Wales flag consists of a red dragon on a bicolor background of green and white. The flag is equally divided horizontally with bands of the two colors. Green and white are the traditional colors of the Tudor family, who were of Welsh heritage, and ruled Britain from 1485-1603. 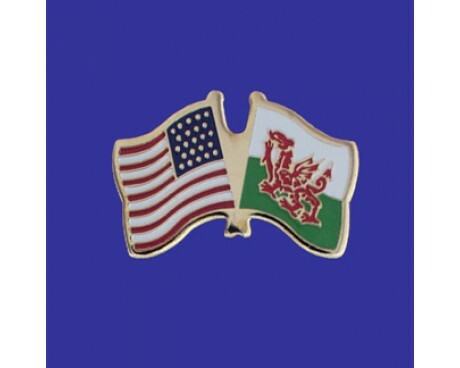 The green and white also symbolizes the leek, the national emblem of Wales. The current Wales flag was adopted in 1959 as the official flag. Throughout the country's history, the Wales flag featuring the red dragon have been commonly used. The actual origin of the red dragon depicted on the Welsh flag remains a mystery, but there are several theories surrounding its appearance. The red dragon has symbolized Wales for hundreds of years, but the origin may go back to the time of Roman occupation in Britain. The Draco standards used by the Roman cavalry present in Britain featured a similar red dragon, and it is possible that the symbol remained in Wales for centuries after. The first written account of Wales being associated with the red dragon comes from the Historia Brittonum from around 830 AD. In the text, a story describes a struggle between two dragons deep underground; one red and one white. Because of this turmoil, King Vortigern is unable to build a strong foundation for his fortress. This story is later modified and becomes a prophecy made by Merlin. In the prophecy, Merlin explains that the red dragon represents the native Britons and the white dragon represents the invading Saxons. It is commonly believed that this description of the red and white dragon refers to the conflict between the Britons and invading Saxons in the 5th and 6th centuries. There are several accounts of important historic figures using the red dragon as their banner. Arthur is commonly believed to have used the red dragon on his battle standards. This also ties to the theory that the red dragon was inherited from Romans during their occupation. Many British kings have used the red dragon including Richard I during his 1191 campaign in the Third Crusade. Both Henry III and Edward III used the red dragon at the Battle of Lewes and the Battle of Crecy, respectively. Famously of Tudor, and thus Welsh, decent, Henry VII proudly displayed his red dragon banner in 1485 at the Battle of Bosworth. 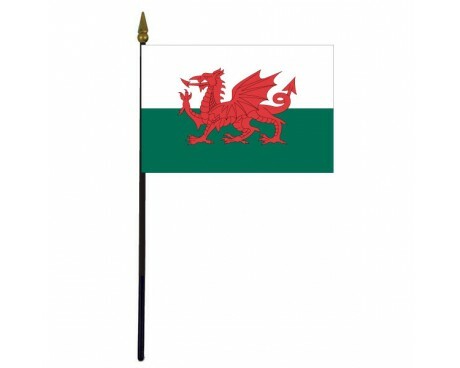 While the red dragon flag is the most commonly used, and official flag of Wales, there are other Welsh flags used on certain celebrated days. On St. David's Day, the flag of Saint David is used in place of the traditional Wales flags. 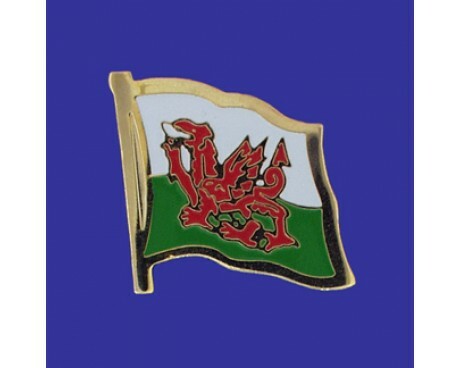 From 1953 to 1959, a similar version of the current flag was used, but the red dragon was replaced with the Royal Badge of Wales.